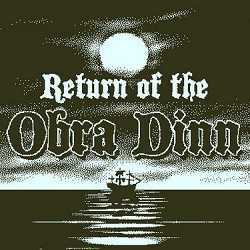 Return of the Obra Dinn is an Adventure game for PC published by Lucas Pope in 2018. A nice interesting story beyond intriguing! Great game if you enjoy making mental notes, doing comfortably challenging deductive work and guesswork occasionally.